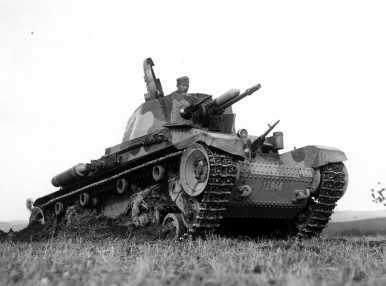 Notes The LT Vz.35 (Lehký Tank Vzor 35) was a light tank designed by the Czech firm ČKD. It was built in large numbers and was the main battle tank of the Czech armoured regiments prior to the German annexation. It was well armed and fairly well armoured for the time and because of this they were quickly snapped up by the German army.